Welcome to another installment of Reissue Theory, where we reflect on well-known albums of the past and the reissues they could someday see. With the reissue of George Michael’s most flawless pop album, today’s installment takes you into the corners of the world pop music scene to prove how part of the musical culture he really was. The reissue of George Michael’s iconic Faith album has your humble catalogue correspondent excited. Really excited. So excited that today’s Reissue Theory talks about two albums from the same time period he managed to contribute to despite being inescapable with the singles off of his own album. They involve one of Michael’s best side musicians and a strangely satisfying (and successful) family connection. And they’re yours to read about after the jump. Music lovers rarely think about instruments when it comes to George Michael or WHAM! The deepest one might go is by way of session horn players: Steve Gregory played the inimitable saxophone hook for “Careless Whisper,” while “I’m Your Man” featured a solo by Andy Hamilton, known to ’80s pop fans as the sax0phonist on Duran Duran’s “Rio.” Sure, there’s also Pepsi and Shirlie, the two WHAM! background vocalists who released one solo LP with a pair of U.K. Top 10 hits in 1987. But that’s usually about it – and that’s a shame, because that list ignores Deon Estus, the secret weapon of WHAM! and Michael’s music. Estus was a bassist with intense chops; the Detroit-born musician studied under no less than James Jamerson, arguably the most luminary pop/rock bassist in history for his work on the classic Motown records of the 1960s and 1970s. After a stint in the short-lived funk group Brainstorm, Estus played for Marvin Gaye on his final album, Midnight Love (1982). But his big break came when he joined WHAM! as a touring member. When the band surged onto the scene after a chance appearance on Top of the Pops (owing to a last-minute drop-out by another band), the world started to go crazy for George Michael (and, to a lesser extent, Andrew Ridgeley). Estus played on the band’s best LP, Make It Big (1984), lending his bass skills to “Wake Me Up Before You Go-Go,” “Everything She Wants,” “Freedom” and “Careless Whisper,” among others. After WHAM! split in 1986, Estus accompanied Michael on the Faith project and beyond; he is still Michael’s bassist in studio and on the road. But he had enough down time in 1988 to release his first and only solo album, Spell. 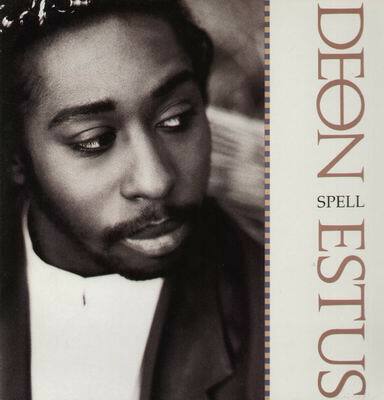 Estus was an impressive enough vocalist and bassist on his own, and he worked with some great songwriters (“Under the Boardwalk” co-writer Kenny Young and British songwriter Simon Climie, who co-penned “I Knew You Were Waiting for Me” sung by Aretha Franklin with Michael) and producers (Jellybean Benitez lent his talents on the album and its singles). But the most famous collaboration was “Heaven Help Me,” produced and co-written by Michael himself, which – likely off the strength of that collaboration – became a Top 5 hit in America. Here’s what an expansion of Spell might look like. George Michael’s talents did not lend Deon Estus any success in the U.K.; however, Michael did help someone else find brief fame on the charts not long after the Faith wave finally let up. Andros Georgiou was an aspiring musician who assembled a rather impressive studio band he called Boogie Box High in 1987. Estus was a part of the band, as well as GM collaborator David Austin, Mick Talbot of The Style Council on keyboards and Nick Heyward of Haircut 100 on guitar. Eventually, Georgiou played one of the tracks – a cover of The Bee Gee’s “Jive Talkin'” – to his cousin, Georgios Kyriacos Panayiotou, who took a liking to the track. This was particularly important because Panayiotou was George Michael. The singer recorded lead and background vocals in secret (and never received credit on them, for fear of crossing his label, Epic Records) and the finalized “Jive Talkin'” became a U.K. smash. 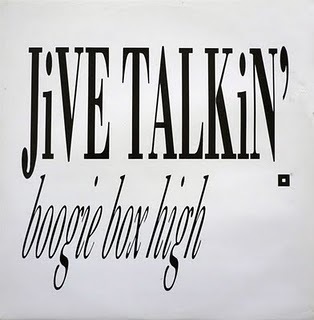 Michael’s contributions to Boogie Box High didn’t end with the single, however. Although he again received no credit, two of the tracks off the band’s only LP Outrageous – “Golden Soul” and “Soul Boy” – were penned by the singer. (They were actually considerably older tracks, allegedly dating back to the earliest days of WHAM!) The track “Gave It All Away” has no vocal credit, leaving one to guess just who’s singing on that track, too. Georgiou released a commemorative CD single of “Jive Talkin'” on his official Web site a few years ago, but a reissue of Outrageous would be welcome, too. Are You Just Using Me? Interesting that you brought up the Deon Estus album. I recall reading an article in Rolling Stone, somewhere around late 1986 or earlier in 1987, about George Michael’s projects once Wham! was over. One of them was a solo album for Deon Estus, and the track he was working on in the studio was “Look At Your Hands”. Which, of course, ended up on Faith.